There’s probably no better way to switch from AMD Socket 754 Reviews to Socket 939 motherboard Reviews, as with a test from a Combo board. 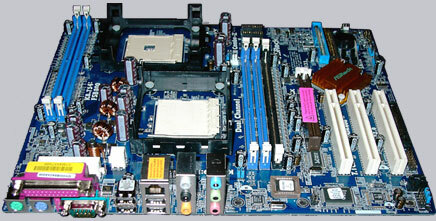 The ASRock K8 Combo-Z can be equipped alternatively with one of these two Athlon 64 processors without any adapters, so that it’s possible to buy the inexpensive Socket 754 CPU at present and change it later without buying a new motherboard. Whether the extremely inexpensive K8 Combo-Z board is suitable despite this ingenious option also for overclocking, which features it has to offer and what performance you can expect of the two processors in comparison, you shouldn’t miss in this Review.